UPDATE: According to the Florida Department of Transportation's contractor, the hole on State Road 528 is not a sinkhole. Instead, the hole was caused by a leaking pipe underneath the Beachline Expressway. Highway engineers are working to make the needed repairs. However, the roadway will be down to one lane for much of the day. 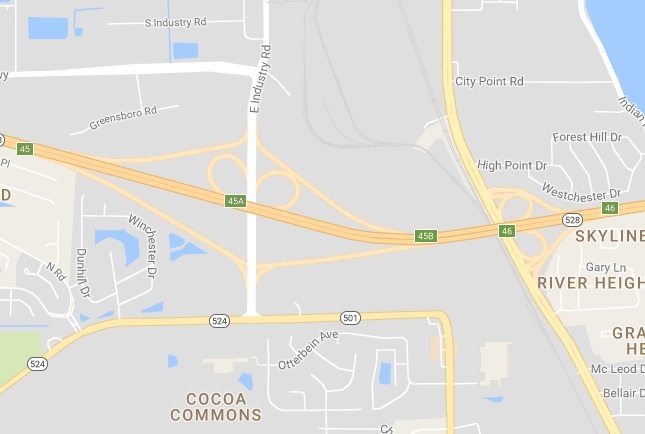 COCOA, Florida - One eastbound lane of State Road 528 (Beachline Expressway) has been shut down just west of Exit 45 at Industry Road due to a large hole opening up in the roadway. The Cocoa Police Department is reporting that the hole is a possible sinkhole. The Florida Department of Transportation is responding to the incident. Expect delays in the area.